Telstra, perhaps better known for its premium iPhone plans, also has a range of lower-cost SIM-only deals. So what’s in the range, you might ask? If you’ve got your own device ready, Telstra produces a small but impressive range of 12 month SIM-only phone plans, all of which are offered on a postpaid basis. Take a look at the options below to see how Telstra compares to other SIM-only providers. Telstra has a total of three SIM-only postpaid plans in this category, all of which include unlimited standard national calls & texts. Aside from the usual calls, texts & data, Telstra also has a range of tasty bonuses that may sweeten the deal: Telstra Air data, Apple Music membership, and data-free Apple music streaming is included on all plans, with the Large $89 option also featuring a 12-month Foxtel Now starter pack subscription. Both the Medium and Large plans also include unlimited international talk and text to 15 countries, and if you’re on the $89 plan, you’ll get 2GB of data to use when roaming overseas each month (plus unlimited calls and texts when outside Australia). Finally, the Medium and Large options include ‘peace of mind’ data, which means that once your allocated fast data is used up, you’ll still have the safety net of unlimited slower gigabytes (capped at 1.5Mbps). Again, all these plans are only available to customers who sign a 12-month contract with Telstra. If you want a Telstra plan without the commitment, you may prefer Telstra’s month-to-month prepaid options, especially the telco’s Prepaid Extra plans. Below are the published prices for Telstra’s 12-month SIM-only postpaid plans. Each plan includes a link to the Telstra’s website for further details. How do Telstra SIM-only plans compare to other providers? 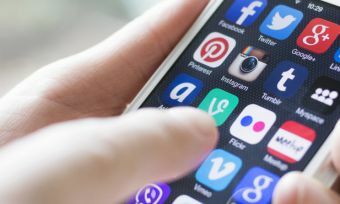 Telstra is no longer the ‘big bad wolf’ in the telco world, having transformed its mobile phone plans into competitive offerings, especially in the SIM-only space. However, Telstra still faces stiff competition from smaller providers that can often offer more data for less. Telstra’s plans look good, but first consider if you can find a better deal elsewhere. If you’re not adamant on sticking with Australia’s largest network, providers such as Exetel may be what you’re after. If you want to stick to the Telstra network, Southern Phone is a provider offering a fair amount of data for a relatively small price. If you want the freedom of a month-to-month plan, you may prefer prepaid and contract-free providers such as Boost Mobile, OVO Mobile or Yomojo. Even big-name telcos such as Optus and Vodafone can offer competitive pricing, particularly when compared to Telstra. 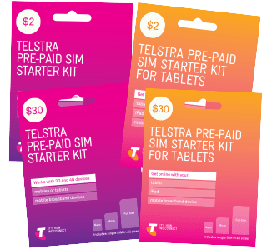 Is a Telstra SIM-only deal worth the money? Telstra’s SIM only deals certainly look the part, with lots of data on offer and extra goodies like data-free music streaming, Foxtel packs and so on. However, the million-dollar question is, could you find a better offer elsewhere? That answer may be yes. As Telstra is Australia’s largest network, it probably rightfully charges a premium, and it can’t be cheap to operate this network and provide brick and mortar stores. Smaller providers with lower overheads can and do offer more ‘bang for buck’ – more data and other perks for less money. On a price basis alone, Telstra seems quite expensive especially in the competitive world of SIM only plans. However, this price might be well worth paying for, to be on Australia’s largest network with a bunch of extra perks. As the saying goes, “People are either on Telstra, or they wish they were”. There may be better deals around, but evidently many people are happy with Telstra.